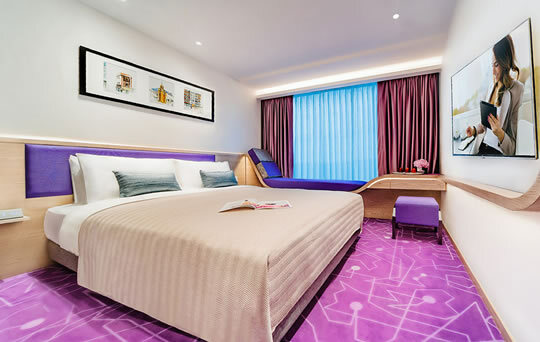 Hotel Purple Hong Kong is located in Causeway Bay, Hong Kong’s most vibrant shopping and dining district and just a short 30-minute journey from the Hong Kong West Kowloon High Speed Rail station. Guests can enjoy easy access to high-end shopping malls such as Times Square and the Sogo Department Store as well as Jardine’s Crescent, a roadside market that is popular among the younger crowd. 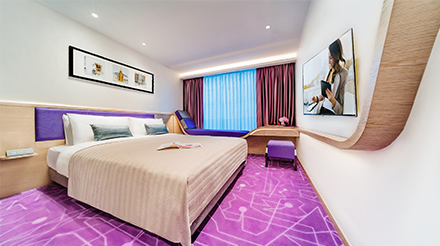 The bustling Causeway Bay district makes Hotel Purple a perfect base for tourists looking to fully immerse themselves in the charm of Hong Kong’s “Shopping Paradise”. The neighbourhood also offers a variety of dining choices waiting to be explored, from fine dining to down-to-earth local restaurants. 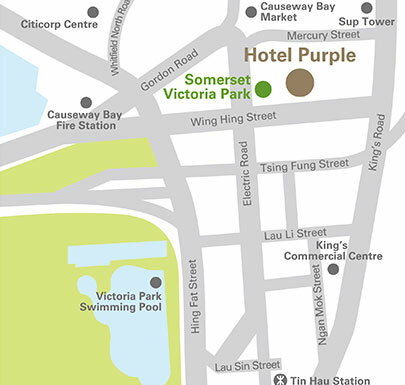 While staying at Hotel Purple Hong Kong, nearby Victoria Park offers a welcome respite from urban shopping sprees. Within walking distance, the lush park allows guests to fully experience the local lifestyle. 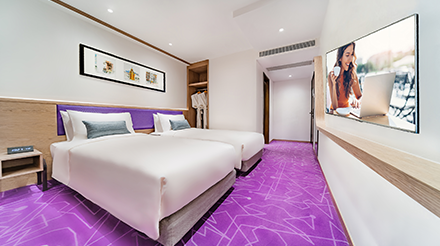 There are 83 modern and stylish guest rooms and one en-suite bedroom at Hotel Purple Hong Kong, offering plenty of living space and comprehensive bathroom amenities to ensure guests’ comfort throughout their stay. 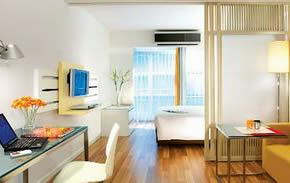 High-speed wireless internet and a nearby gym are available to meet the needs of both leisure and business travellers. 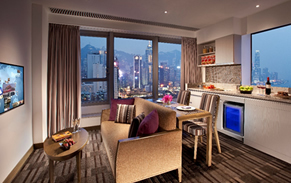 Our 24-hour Guest Service staffs are pleased to share local tips for an authentic Hong Kong experience, and our security system promise a safe and secure stay. 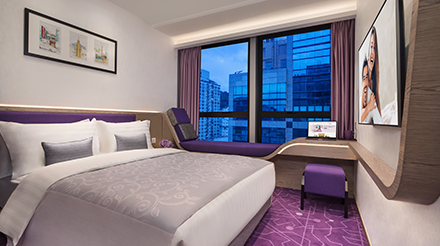 Hotel Purple will be your choice of accommodation in Hong Kong. 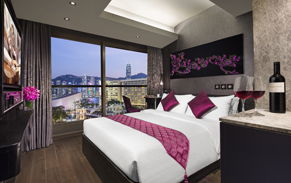 Celebrate the opening of Hotel Purple Hong Kong, special priced from HK$600! Limousine service to and from the airport can be arranged upon request at a fee.